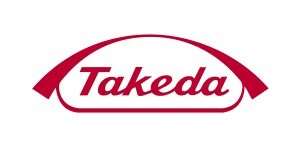 Dr. Helen Ge has asked the U.S. Supreme Court to revive her whistleblower lawsuit against Takeda Pharmaceuticals Company Ltd. Dr. Ge, a former medical reviewer at Takeda, filed a whistleblower lawsuit against her former employer in 2010 accusing the pharmaceutical giant of hiding the safety risks associated with one of their drugs. She states that during the course of her work she learned about dangerous side effects linked to Takeda diabetes drug Actos (pioglitazone), including bladder cancer and congestive heart failure. Dr. Ge’s lawsuit was filed in U.S. District Court for the District of Massachusetts, First Circuit at a time when pleading standards for qui tam cases were “in flux,” according to her attorneys. She filed a pre-judgment request to amend her allegations before they were heard, but the court ignored her request and rejected her claims. Dr. Ge filed a post-judgment motion to amend, replete with expert testimony and declarations from other witnesses, but that too was ignored. She and her lawyers filed a certiorari petition in April, asking the Supreme Court to weigh in on her case. Months later, with a decision on their petition still pending, Dr. Ge recently filed another brief in support of her previous request to have the Supreme Court decide whether whistleblowers should be granted leave to amend. Her attorneys claim that the case represents the perfect vehicle to address the inconsistencies in circuit court whistleblower proceedings. “Our system should not be about meeting specific technicalities, but getting to the merits of the case,” said R. Brent Wisner, part of Dr. Ge’s legal team at Baum, Hedlund, Aristei & Goldman. The case is U.S. ex rel. Ge v. Takeda Pharmaceutical Co. Ltd. et al., case number 13-1236 in the Supreme Court of the United States. This entry was posted in Pharmaceutical Fraud, Whistleblower News on July 11, 2014 by Mark Schlein.